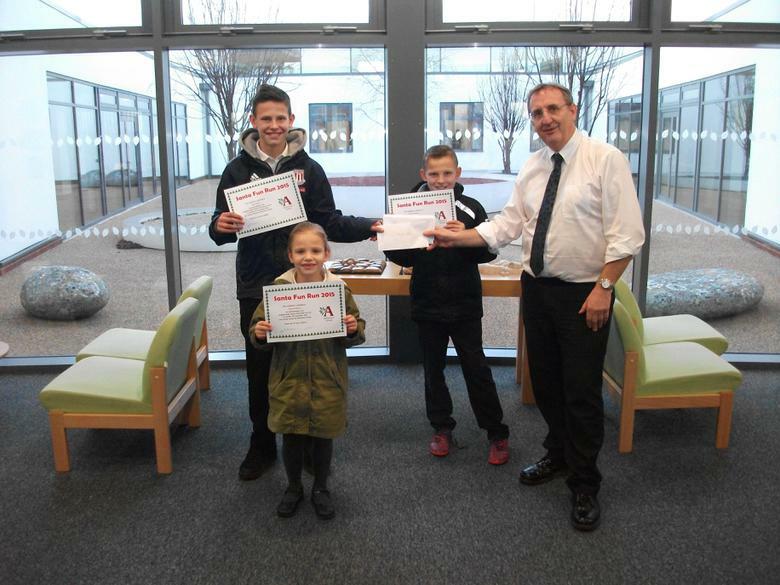 On Friday 15rth January we were delighted to present certificates to Will, Tommy and Kelsey Pattison who all ran in the Ashmount Team in The Loughborough Rotary Club Santa Fun Run in December. Their Nan Cath works in Class 7 at school.They all got very good times and between them raised £160.00 for the event. Well done and thanks from all at Ashmount.